Mucha’s vision of the literary Muse: earrings of the Sun, a halo formed of Byzantine mosaics and Roman arches, laurel branches extending from the quill, and a belly pregnant with creative possibility. The typical writer is a hunchbacked creature often nervous, scribbling and starving. 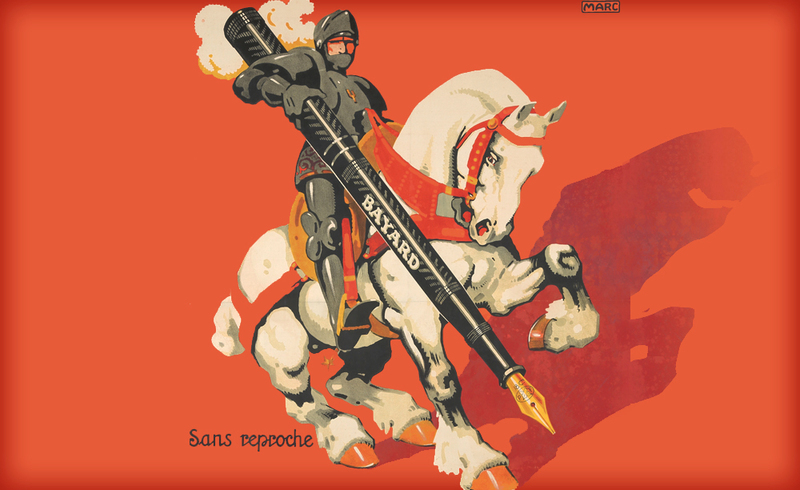 In the mind’s eye, however, there’s this: a heroic vision of the wordsmith as jousting knight-at-arms. 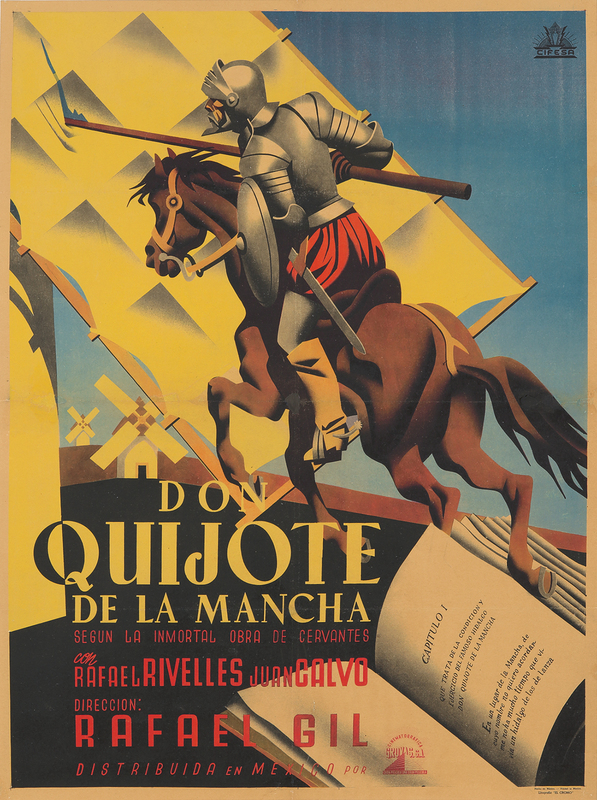 This 1947 film was the first version of Cervantes’ classic to be filmed in sound, for a Spanish-speaking audience. 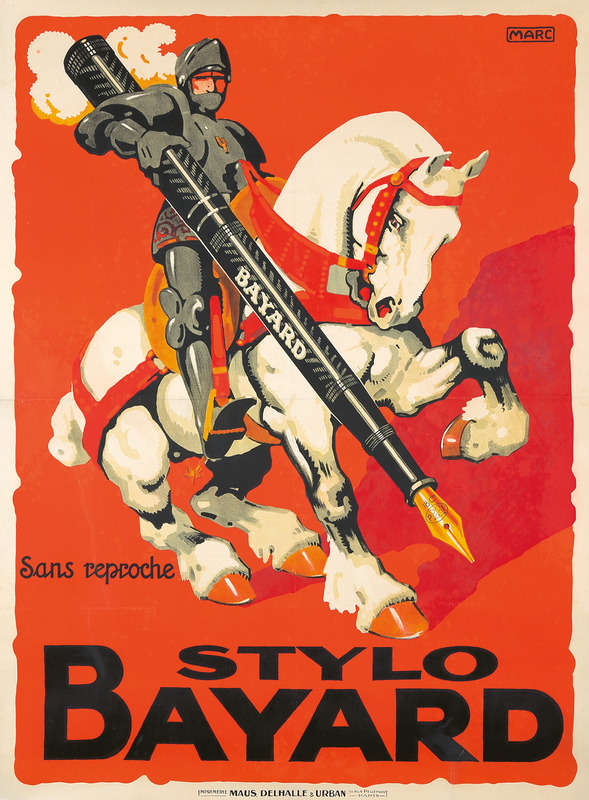 The Don looks dashing in Art Deco garb; note that Don Quixote’s horse is leaping up and out of the first pages of the book. 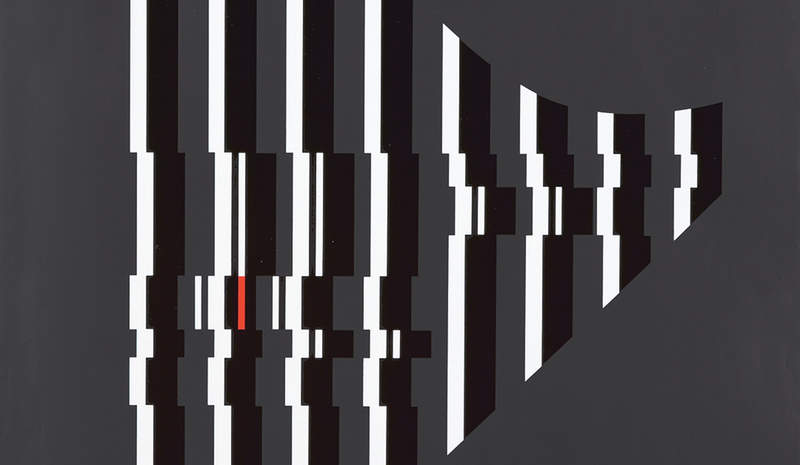 This poster was printed for the Mexican debut of the film. 173. 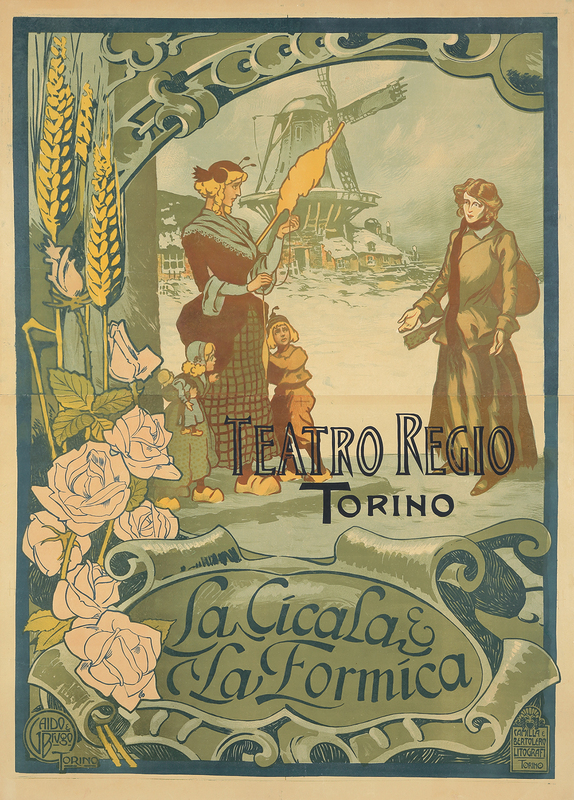 Teatro Regio / La Cicala & La Formica. 1898. 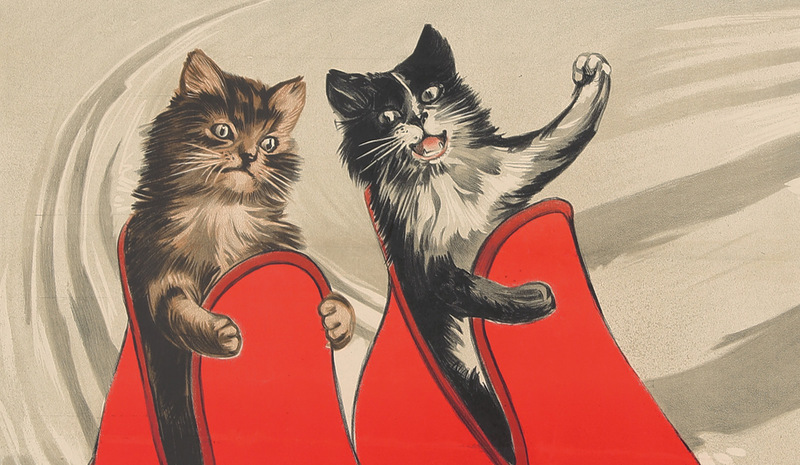 The classic Aesop’s Fable of the Ant and the Grasshopper was transformed into a naturalistic three-act comedy performed at Turin’s Regio Theatre at the turn of the 20th century. This adaptation was set in The Netherlands, where the lush tulip springtime gives way to bleak and barren winters. This excellent design emphasizes the pathos – and judgment – in the moment of destitution and humility. 175. 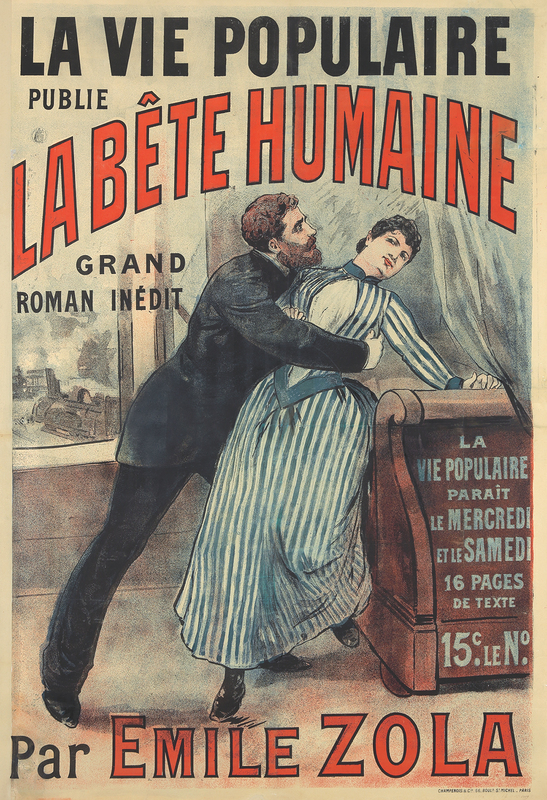 La Bête Humaine. 1890. 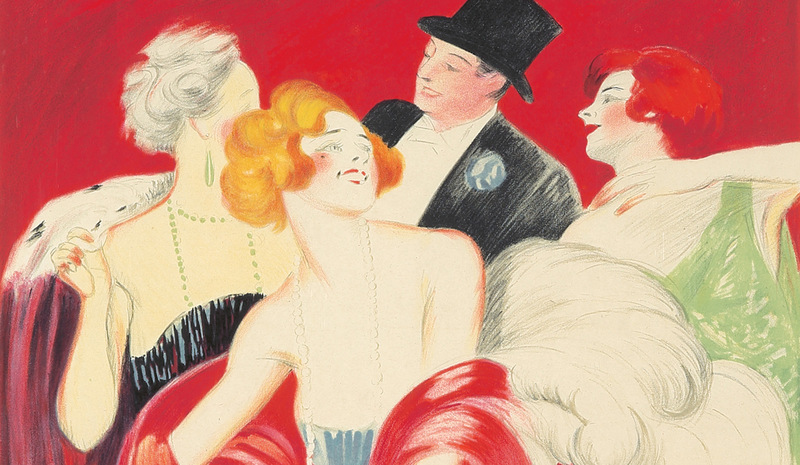 The Larousse French-English dictionary has been a savior for anyone who’s tangled with the confusions and subtleties that confound these two languages. 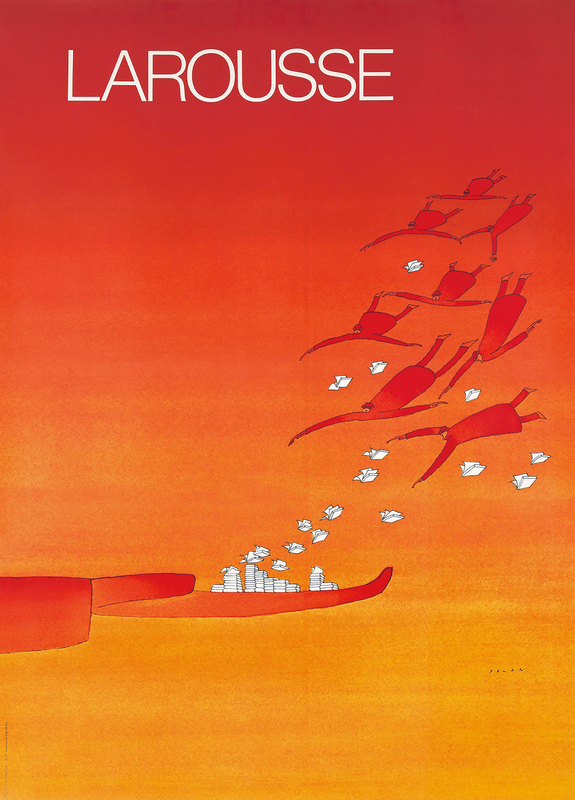 Folon’s poster, of up-in-the-air travelers coming to land, in the red light of a morning arrival, upon an outstretched hand flocked with flying books, is a perfect interpretation of the feeling one gets, when converting a good word into a bon mot. 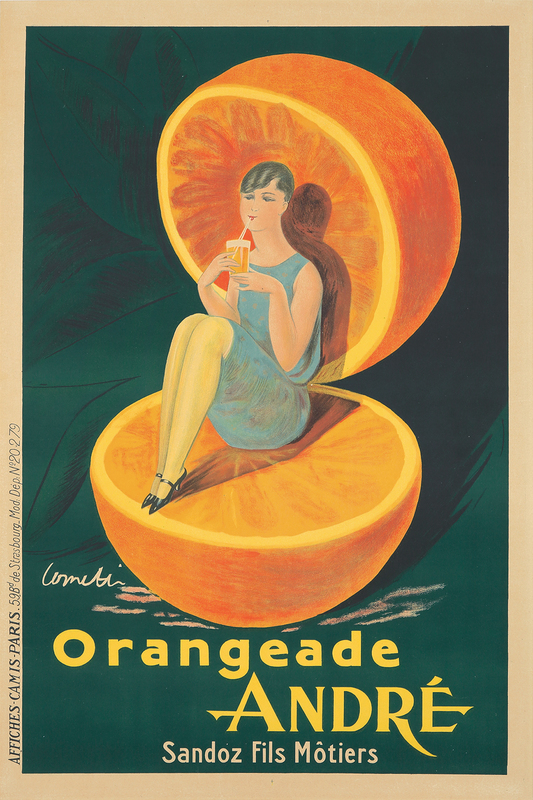 There’s nothing better than sitting in the shade, drinking an André Orangeade. The only reference we can find for this product is from F. Scott Fizgerald’s “Tender is the Night” (1932), p. 122: “Silence while he stared at a shelf that held the humbler poisons of France – bottles of Otard, Rhum St. James, Marie Brizard, Punch Orangeade, André Fernet-Branca, Cherry Rocher, and Armagnac.” Fitzgerald appears to have conflated Orangeade André and Fernet-Branca in his notes for the novel.